22 August 2016 A Guest Lecture was given on Pronunciation in English & Communication Skills to the students of Applied Science in KC Polytechnic College on Monday. 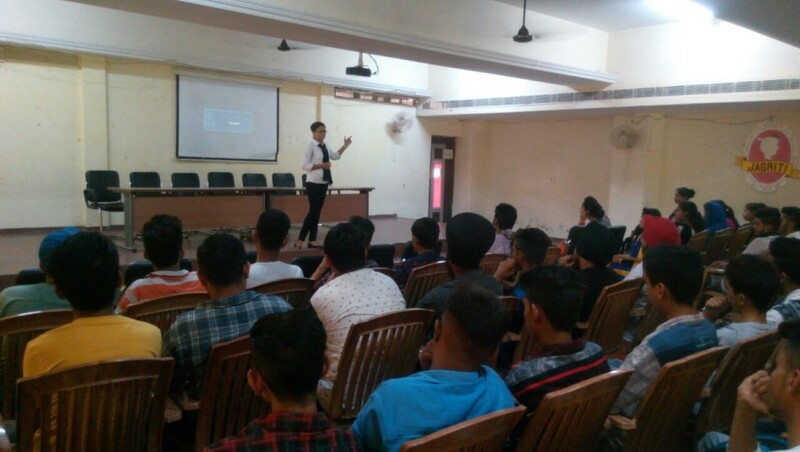 In which Mrs. Jaswinder Kaur & Ms. Monika Lecturer from KC Polytechnic College told the students that your pronunciation for the communication and seriousness of a world speaking. The communication clears the relation of a person in different environments for example if a person is going to deliver a lecture in English. Same as for the Interviewer also reflect the personality in interviews. One should be very polite while answering in an Interview. Principal Er. R K Moom, Vice-Principal Gurnawab Singh thanked Lecturer Mrs. Jaswinder Kaur & Ms. Monika and told the students that pronunciation in English Communication & Skills reflects the personality of a person. Stage was conducted by Assistant Professor Jaswinder Kaur & Monika. On this Ocassion Principal R.K Moom , HOD Er Parwinder Kumar, Er N.K Soni, Monika Parihar (HOD of Applied Science), lecturers Navdeep Kaur, Monika, Sonia Sharma, Manpreet, PRO of KCGI Mr Vipin kumar and all the students of Applied science were also present.